A major debut from an award-winning writer-- an epic family saga set against the magic and the rhythms of the Virgin Islands. In the early 1900s an important ship sinks into the Caribbean Sea, just as the Virgin Islands are transferred from Danish to American rule. Orphaned by the sunk vessel are two sisters and their half-brother, now faced with an uncertain identity and future. Each of them is unusually beautiful, and each is in possession of a particular magic that will either sink or save them. 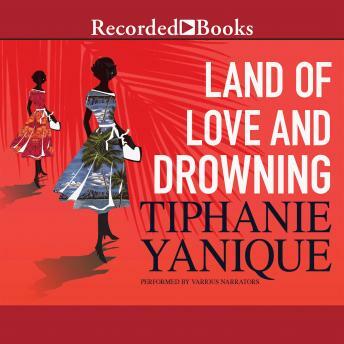 Chronicling three generations of an island family from 1916 to the 1970s, Land of Love and Drowning is a novel of love and magic, set against the emergence of Saint Thomas into the modern world. Wholly unique, with echoes of Toni Morrison, Gabriel Garcia MArquez, and the author' s own Caribbean family history, the story is told in a language and rhythm that evokes an entire world and way of life and love. Following the Bradshaw family through sixty years of fathers and daughters, mothers and sons, love affairs, curses, magical gifts, loyalties, births, deaths, and triumphs, Land of Love and Drowning is a gorgeous, vibrant debut by an exciting, prize-winning young writer.